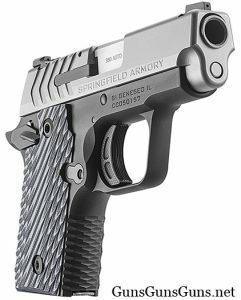 Summary: The description, specs, photos, pricing and user ratings of the Springfield Armory 911 pistol. 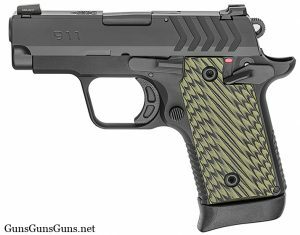 The 911 with the black slide and extended magazine. a flush-fit six-round magazine and a seven-round extended magazine. Springfield also offers the 911 with an integrated green Viridian grip laser. 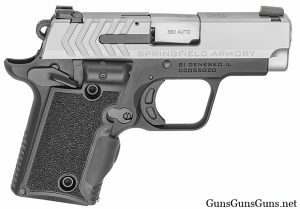 .380 ACP 6+1, 7+1 2.7″ 5.5″ .8″ 3.9″ 12.6 oz. 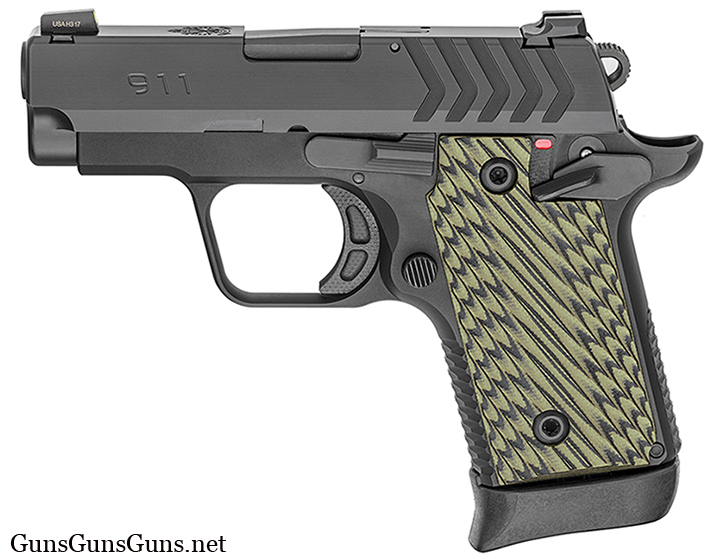 The 911 from the right with the stainless slide and Viridian laser grip. The 911 from the front. The 911 from the rear. This entry was posted in .380 ACP, $501-$750, 1911, Semiauto, Springfield Armory, Subcompact on November 29, 2018 by Staff.